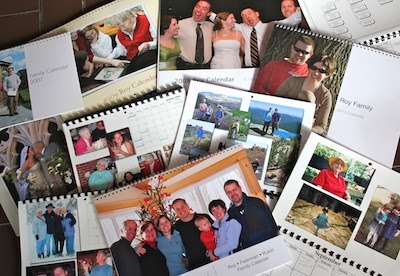 Our family has been creating annual family photo calendars for decades. My sister started the tradition back in the early '70s- yes in the last century! She had a great camera and a black and white darkroom in the basement. Talk about a lot of work. Over the years we switched to Kodak color prints, then prints from our inkjet , and finally iPhoto calendars arrived. Talk about using all the technologies over the years. But I do have a wonderful collection of calendars. 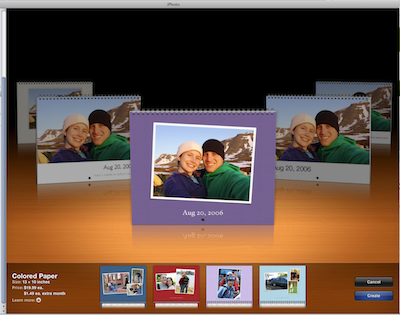 David and I have been in charge of the calendar for years and most recently all of them are completed in iPhoto - free software on the Mac. The entire photo editing capabilities are all built in. This is what the season is all about - togetherness, family, sharing, remembering, building memories. The Family Calendar continues as a family Christmas tradition.